Abstract: The Institute of Oceanographic Sciences Deacon Laboratory has been setting up links with schools to encourage pupils to consider careers in science and technology. Initiatives have included school science projects, the supply of information for teachers, work experience for pupils and the publication of careers advice. The need for such education links arose during the late 1980s and this article examines the background to this. It describes the activities of the past two years and concludes that although assessment of these activities is difficult, the potential encouragement to young scientists is very valuable. Abstract: This paper is an attempt to clarify the role of the river purification boards in Scotland and to explain how legal control of the salmon farming industry was developed. Estimates are made of the potential polluting impact of an industry that has grown dramatically over the last decade. The author also identifies the pollution pathways arising from the industry, and differentiates between operations at land–based farms and floating cage farms. Details are also given of the Clyde River Purification Board’s control policy and the self–monitoring requirements imposed on fish farming. Finally, the author makes clear how the self–monitoring required by the boards relates to the charging schemes levied by all the boards on all discharges in respect of compliance and environmental monitoring. Abstract: The paper reviews the guidance on estimation of extreme wave heights issued by the UK Department of Energy in 1984 and 1990 with emphasis on the derivation, not previously published, of a key formula quoted but not explained in the 1990 issue. It considers first the widely used simple approach underlying the data and associated guidance issued in 1984, and the reasons for the change to the different presentation based on a more complex analysis of the 1990 issue. It then explains the 1990 analysis and discusses its implications in terms of a comparison between the 1984 and 1990 data charts for European waters. A main finding of the paper is that due to fortuitous balancing of differences, the simple approach of 1984 and the more complex 1990 methods yield very similar results. 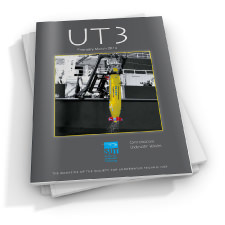 Abstract: The underwater scientific, commercial and defence communities have long been aware of the potential uses of unmanned Autonomous Underwater Vehicles (AUVs) and the development of miniature high capacity computers and artificial intelligence systems has allowed more ambitious missions to be considered for such vessels. However, to carry out these envisaged tasks new power systems will be required which are superior to those currently used in non–nuclear underwater vehicles. Existing systems, almost exclusively, use lead–acid battery driven electric motors and the energy storage capacity of these systems is only sufficient for short reach missions. Consequently, alternative power systems are being developed which make use of advanced batteries, fuel cells, semi–cells, radioisotopes and non–air breathing heat engines. This paper details the power requirements for AUVs, examines the advanced power systems that are being developed for use in such vessels and describes the driving forces behind their possible realisation. 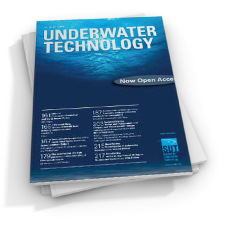 Abstract: Underwater ultrasonic biotelemetry is a branch of underwater technology concerned with the transmission of physiological information from a human or animal subject to some remote receiving station. Here, we consider the transmission, reception and processing of signals from swimmers and divers, which includes signal formatting, multiplexing and encoding, transducers and power amplifiers, power sources, decoding and data analysis. Applications include monitoring the heart rate, breathing rate and temperature of a patient in a swimming pool or a free–swimming diver in open water. The most challenging problem addressed is how to transmit an electrocardiogram (ECG) signal in the severe multipath environment of a swimming pool. Abstract: The majority of underwater operations involve the use of video for observing and recording. This paper presents the results of a multi–sponsor project managed by The Marine Technology Directorate Ltd. The objectives of the project were to develop a set of test procedures and quality acceptance thresholds to ensure that underwater videos shot on site will be fit for their intended purpose. The tests were designed to be used and interpreted on site by non–specialist personnel. 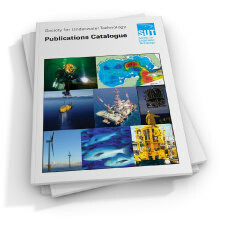 Abstract: This paper examines the problems associated with subsea control systems when dealing with high pressures and temperatures. 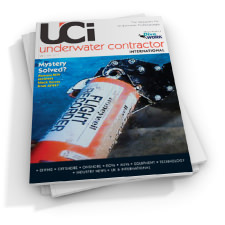 It offers some overall design consideration to reduce the impact on umbilicals. Key subsea components such as control valves and hydraulic connectors are examined in detail. The authors conclude that existing design can be modified to withstand foreseeable higher pressures (up to 150°C). The recommendation is made that long–term testing is carried out to prove key components. Abstract: This paper details the overall system design for a 15,000 psi subsea, gas condensate well in the North Sea. Currently, significant industry interest exists in the technology required to complete wells of this type, which would enable substantial hydrocarbon reserves to be developed. Subsea wells such as this have not yet been completed. 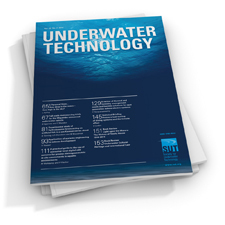 Abstract: Much of the information currently available on engineering technology for aquaculture is inadequate, having been empirically developed on a more or less trial and error basis. Today, aquaculture remains an art with success largely resulting from the innate abilities of staff expert at animal husbandry, practising in open–water systems with good water quality. The present state of the Atlantic salmon industry in Scotland – with over–production, low market prices, deterioration in environmental conditions, disease and many other problems – was both predictable and predicted. However, this situation also applies to the production of salmon and other species in other countries, and is therefore regarded as a ubiquitous characteristics of the industry. Before this situation can be improved, scientific and engineering technologies must be integrated and applied over a wide and diverse area. Probably no single institute can muster enough resources to answer all the questions posed by this industry, indeed it probably would not be cost effective even to try to do so. Consequently, collaboration is essential between scientists, engineers, economists and others from a wide range of institutions, together with the active participation of industrialists with sufficient financial resources to sustain long term programmes. Time for a Sea–Change in Engineering? Abstract: Prior to development of an offshore hydrocarbon field, large sums of money are spent by operating companies on the acquisition and processing of exploration geoscience data. These data, augmented by other publicly available data, can be cost–effectively integrated and reviewed to aid: field development conceptual design; selection of suitable sites for development facilities; and planning of detailed, site–specific, geotechnical and geophysical site investigations. This paper illustrates the range of geoscience data that normally exists and the uses to which such data can be put. A case history of two field development sites in the southern North Sea is presented, to emphasise the benefits of such a data review and the pitfalls that can occur if such a review is not undertaken. The benefits of multi–use of existing data are summarised. Recommendations are made for future geoscience data acquisition to provide further information for subsequent field development site investigations. Abstract: Small Waterplane Area Twin Hull (SWATH) ships are an excellent example of how the physics of fluid flow is being exploited by naval architects: fluid/body interaction is engineered to the advantage of the ship. They are a new breed of advanced ships receiving worthy attention. The paper provides an overview and introduction to the principles of why SWATH ships behave as they do and how engineering scientists use frontier techniques to analyse them and produce design solutions. The Navatek I, a Hawaiian passenger cruise vessel launched in 1990, is used as a case study for the ‘state of the art’ SWATH ship. The aspects covered include motions, resistance, stability, seaworthiness, manoeuvring, structure, safety and missions. Abstract: The main objective of this investigation was to develop alternative, more efficient systems for carbon dioxide removal for diving operations and for small submersibles. The methods studied included the use of absorbent liquids supported on porous solids which provided a regenerable system, and diffusion/permeation processes including, a) flat sheet membranes, and b) the use of hollow fibre permeators for gas separations. Abstract: Oil spilt at sea has the potential to cause signficant environmental damage. In order to respond adequately and minimise such damage, it is essential to respond as quickly as possible. The physical properties of oil undergo rapid changes once in the sea and many countermeasures are only useful for a short period of time before weathering processes make it difficult to deal with the slick. Oil spill models have been developed to help speed response and to assist in pre–planning contingency efforts and training purposes. Models can rapidly predict the movement, spreading and oil properties of a slick in the sea, providing advance warning to the authorities and helping to decide the most appropriate response. This paper outlines some of the techniques behind oil spill modelling, concentrating particularly on the EUROSPILL model. It is important to note that oil spill models represent an attempt to numerically simulate complex physical processes and are inevitably limited in their ability to predict the outcome of actual spills. The quality of results from a numerical model is strongly influenced by the quality of the underlying algorithms and the quality of input data. Abstract: Diving bells are used extensively in the offshore industry for installation, inspection and maintenance of underwater structures and equipment. The most dangerous scenario that can occur involving a bell is when it is impossible to bring it to the surface, either because the lifting system is broken or because the bell is trapped. If the supply of breathing gas or heat from the surface has also been lost, then this is referred to as the ‘Lost Bell Situation’. This paper briefly looks at the factors which affect the life expectancy of a diver in this situation, and studies the current methods of rescue from a lost bell. Alternative systems, which would reduce the danger to the divers and prolong their life expectancy are discussed and recommendations are made to facilitate their implementation. Abstract: Seismic facies analysis is increasingly being used in the interpretation of high–resolution seismic reflection data. Existing depositional systems models, based primarily on seismic data, have been constructed on the basis that acoustic character can be directly correlated with relatively consistent lithologies and geotechnical properties. However, borehole and shallow core data from the northern UK continental margin indicate significant inconsistencies in the use of the technique as a predictive tool. Changes in acoustic texture can occur laterally and vertically, in both lithologically homogeneous and heterogeneous sequences. Conversely, acoustic homogeneity does not necessarily imply a uniform sedimentary sequence. The successful application of this technique can only be achieved by the integration of seismic data with other subsurface information, with interpretation based on sound geological concepts and models. Abstract: Taking out the effect of inflation, oceanographic ships are now twice as costly and instrument systems are 10 times as expensive as they were 20–30 years ago. The trend will continue as oceanography becomes a global science, and as the proposed Global Ocean Observing System (GOOS) becomes operational. The growing requirement from all quarters for knowledge about the 70% of our planet that is covered by water demands increased investment in ever more complex and costly measuring systems. To address the challenges of increased cost and complexity of operations and equipment, oceanographers must band together nationally and internationally to ensure that the slim resources available are used to best effect. Collaboration is happening through bilateral agreements, through the design of large scale experiments like WOCE (the World Ocean Circulation Experiment) and the Ocean Drilling Programme (ODP) and through the planning of large scale operations, like GOOS. Collaboration is fostered through the funding of Community Research Projects nationally, eg, by the Natural Environmental Research Council (NERC), and internationally, eg, via the CEC’s Marine Science and Technology (MAST) programme. But more cooperation and better planning is urgently needed at the international level to reduce the rate of increase of operational and developmental costs and to get a maximum return of data and interpretation for the original investments. High cost systems development is beyond national capabilities for the most part, requiring international cooperation and funding. Discussions are needed in international forums (eg, Pan–European) to develop concensus and plans for collaborative action. Abstract: A wide variety of state–of–the–art oceanographic survey, observation and sampling techniques have been employed to assess the marine mineral resource potential of the Pitcairn Island EEZ. Results show that two large, hot–spot related, shallow submarine volcanic edifices occur some 80 km east–southeast of Pitcairn Island. Both are covered by extensive hydrothermal mineral deposits, with one currently discharging hydrothermal fluids. Studies suggest that sulphides may be buried just below the surface of the seamounts. Many of the older seamounts within the Pitcairn EEZ are covered with relatively thick hydrogenous Mn–crusts.